I’ve been a proponent of universal design principles since I worked for a national disability research centre many years ago. 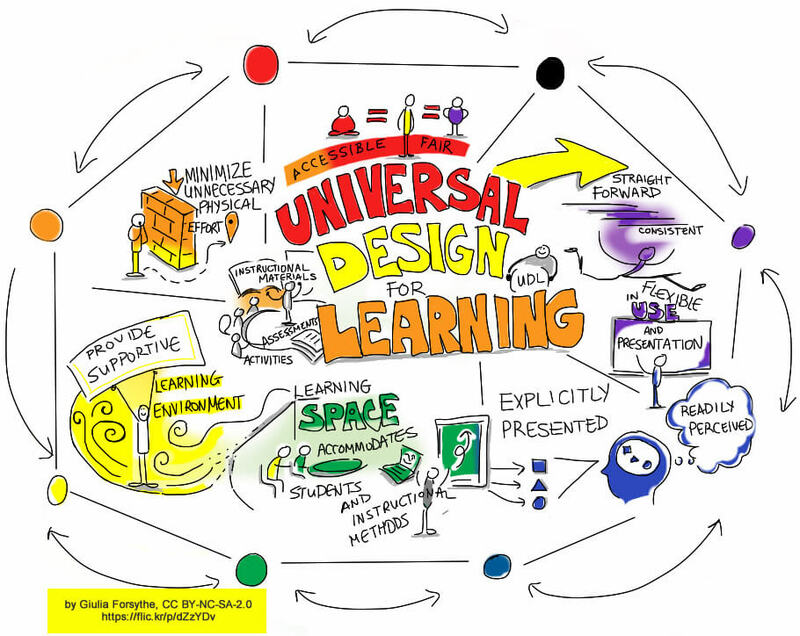 As I’ve taught and written about the design of learning, I’ve tried to keep a ‘UDL lens’ in place – not always successfully. I ruefully admit that my intentions were often overwhelmed by circumstances, resulting in fewer options for learners to engage or share their learning than I would have liked to offer. I keep trying – while exploring new technologies to aid me and reading and discussing different approaches with other educators whenever I can! 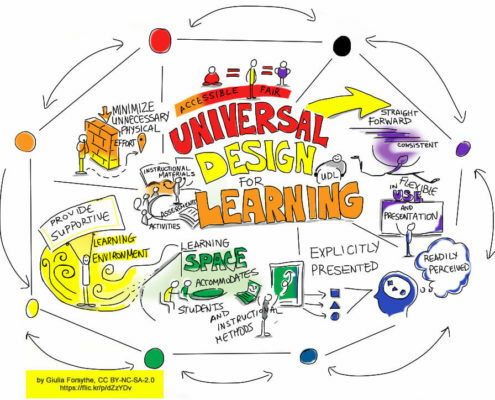 Over the last few years I’ve noticed periodic resurgences of interest and discussion around the three principles of UDL and the growing emphasis on “personalization” of education and learning. (Note: to learn more about the history and development of the concept of personalization, see UNESCO’s 2012 Personalized Learning Policy Brief). CAST director David Gordon was one of the first to explicitly link UDL and personalization with his May 2015 article “How UDL can get you to personalized learning“. A more recent article in ASCD’s 2017 Educational Leadership journal, “Personalization and UDL: A Perfect Match” by Kathleen McClaskey reiterates many of his original points but presents the application of UDL from both a teacher and learner perspective. McClaskey and her colleague Barbara Bray have been influential in the dissemination and application of the concepts underlying personalization in education. 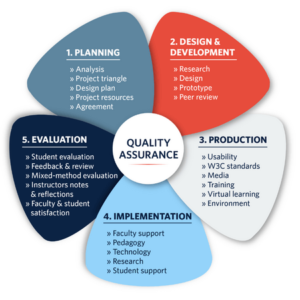 The strong connections between the three principles of UDL and the underlying perspectives and applications of “personalization” are also found reflected in the various “quality” frameworks that are applied to online learning design. In the upcoming BCcampus workshop, Facilitating Learning Online (FLO) – Design, we’ll take a look at how UDL principles can be integrated within a quality framework.